Leicester Riders took down Radisson RED Glasgow Rocks in front of their home fans. Leicester Riders kept their hopes of a Championship title alive with a 75-71 victory over Radisson RED Glasgow Rocks, in front of their fans at Morningside Arena. 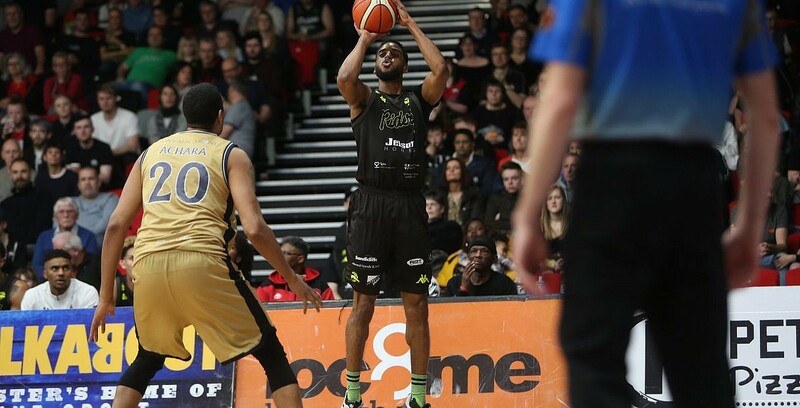 Rob Paternostro’s men built on last weekend’s double to strengthen their grip on second place in the table and ensure that London Lions will need to keep looking over their shoulder, as the Championship campaign enters its final stretch. Turning point – The Riders seized the initiative at the start of the fourth quarter, opening the period with a 9-0 blitz to establish their biggest lead of the contest and take control of the game. The visitors could never fully recover, despite coming back to within a point of the hosts. Key stat – Leicester found continued joy under the basket, amassing 50 points in the paint and shooting 56 percent from two-point range. In contrast, the Rocks could only manage 28 points from the same distance. Game hero(es) – Williams produced the standout performance of the game, netting an efficient 16 points to go along with seven rebounds and five assists. Hampton and Holder also proved pivotal with both scoring in double-digits for the Riders.